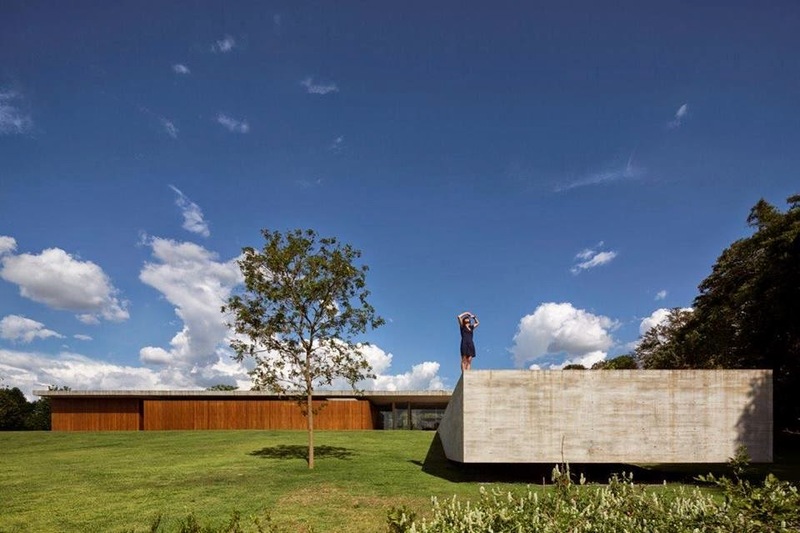 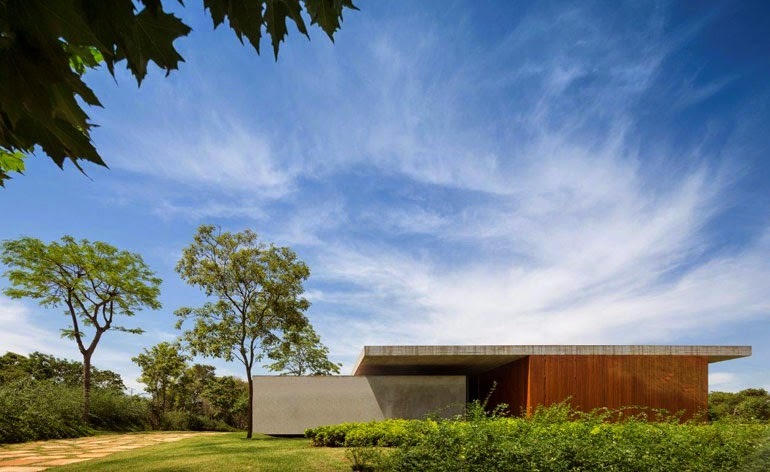 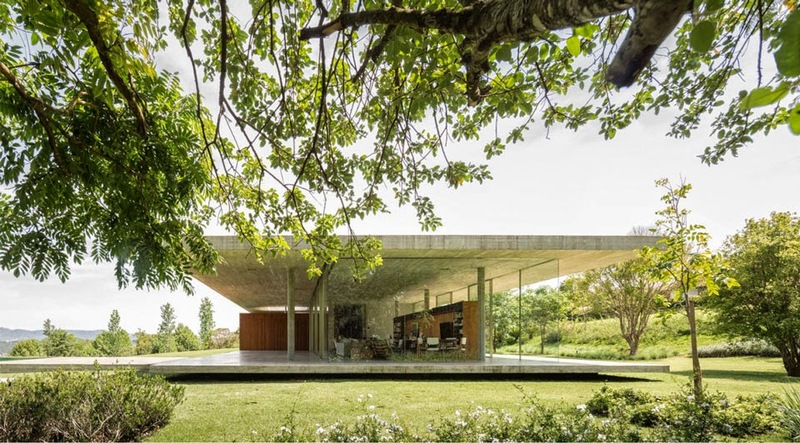 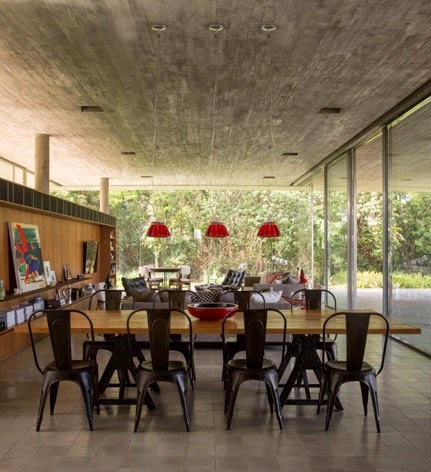 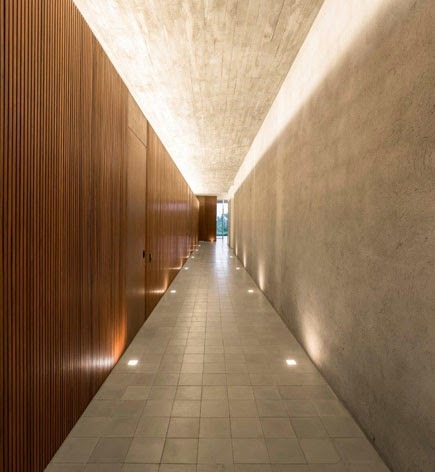 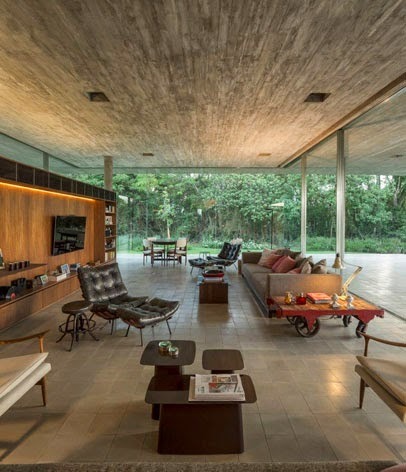 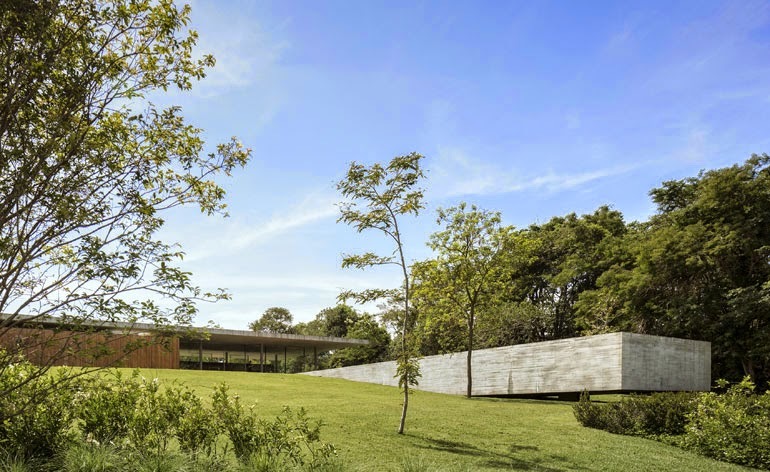 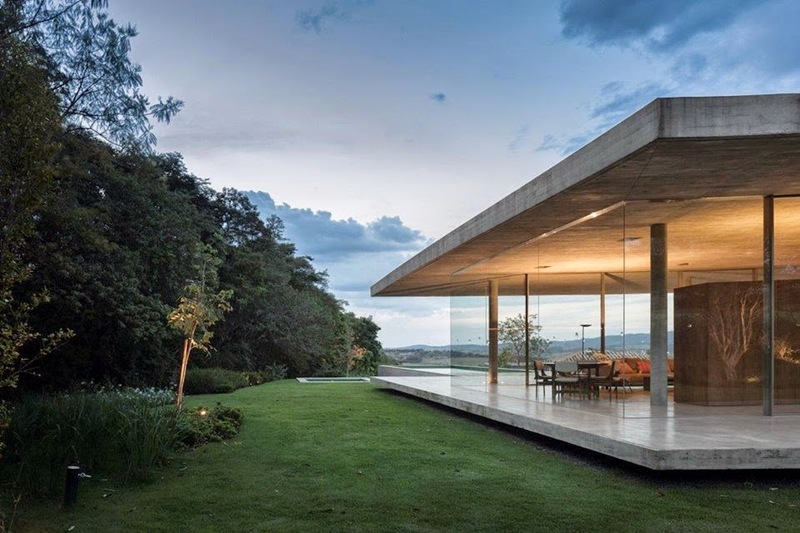 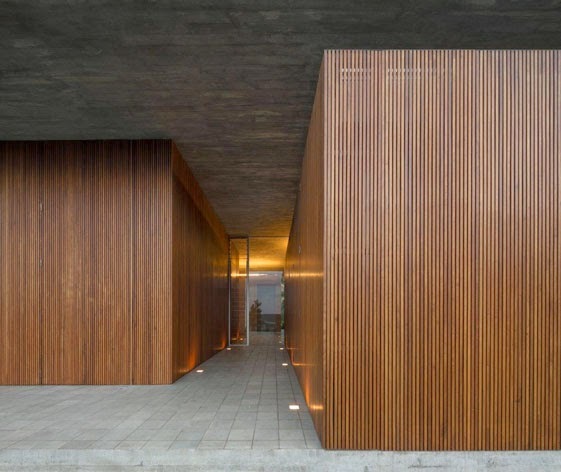 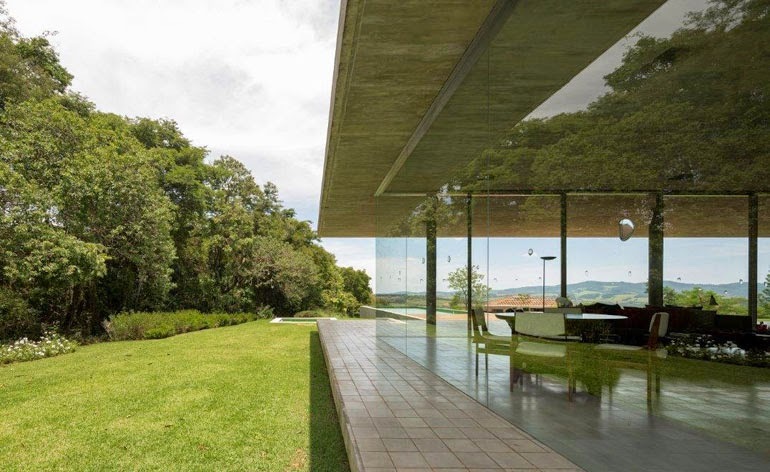 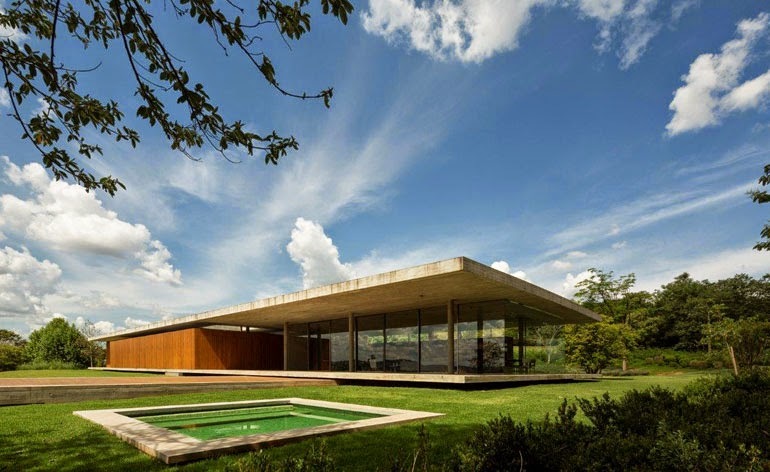 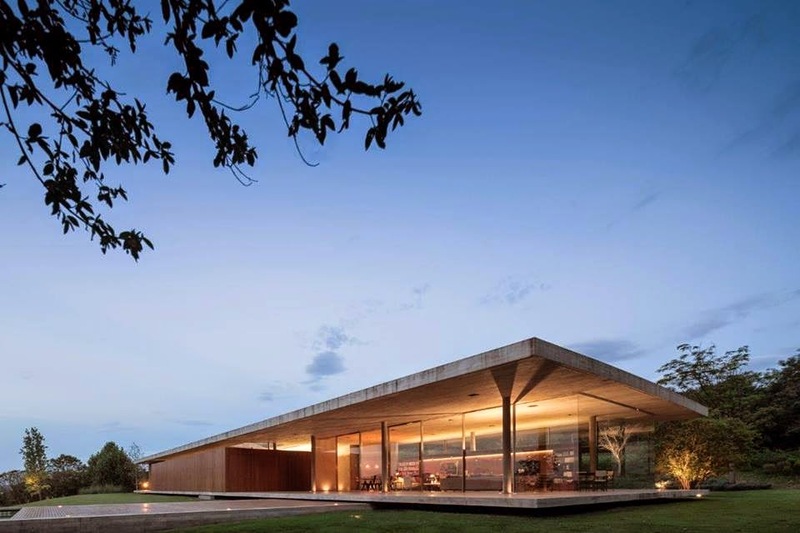 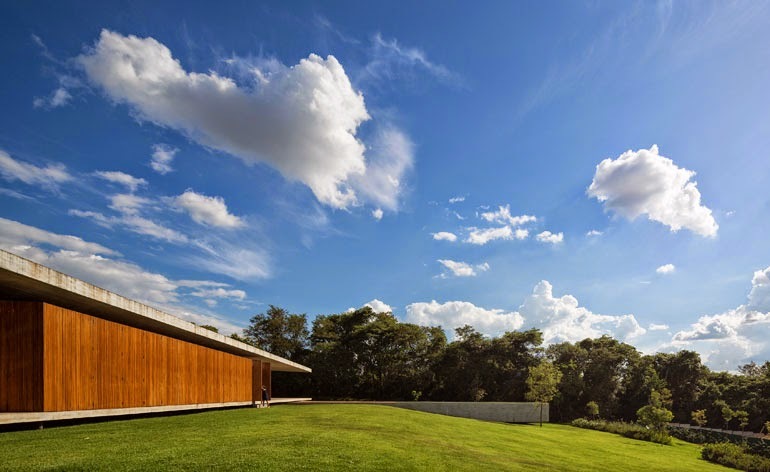 Casa Redux, located in Bragança Paulista, Brazil is one of the latest works of Marcio Kogan - Studio Mk27. 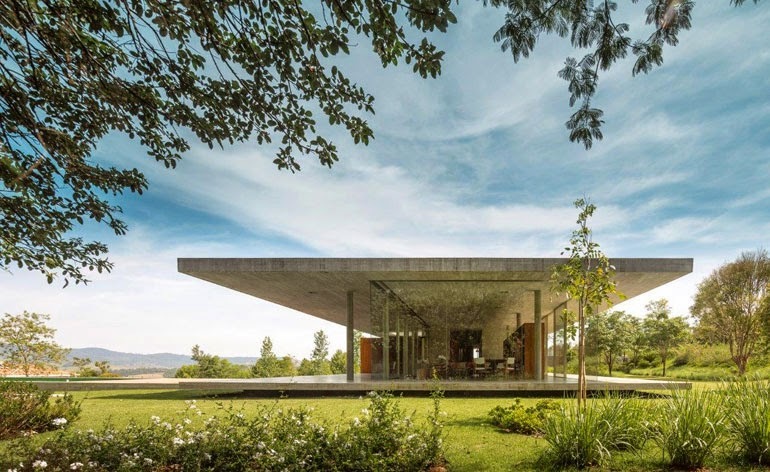 The minimalist building (Casa Redux = ‘reduced' house) appears to float above the ground and is based on a simple brief for a vacation house with as few, clean lines and elements as possible. 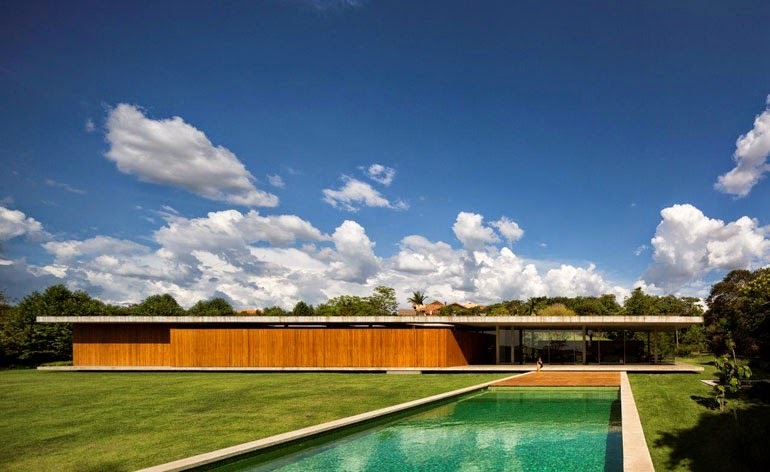 A separate volume completes the composition, containing a timber deck and a protruding infinity swimming pool.